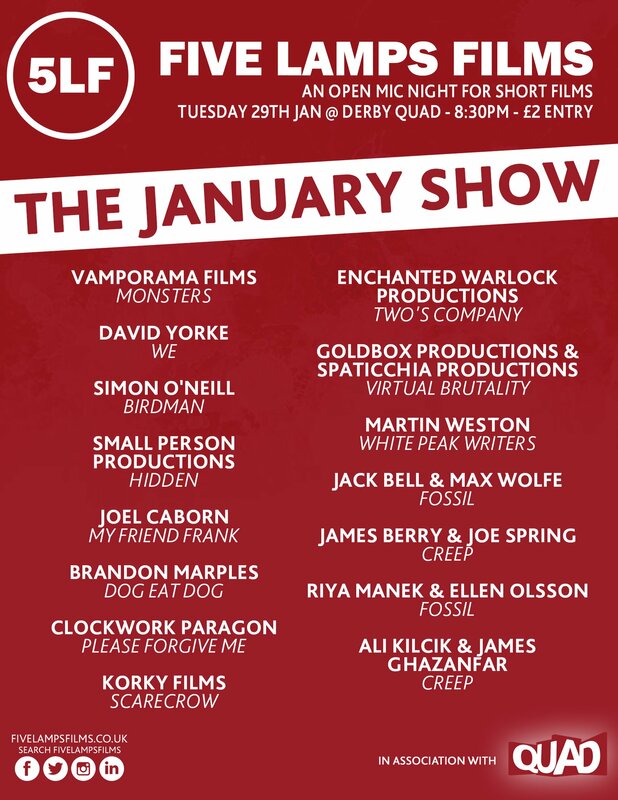 26 January 2019: There’s another opportunity to see our short film Monsters on Tuesday, when it’s screened at Derby Quad. 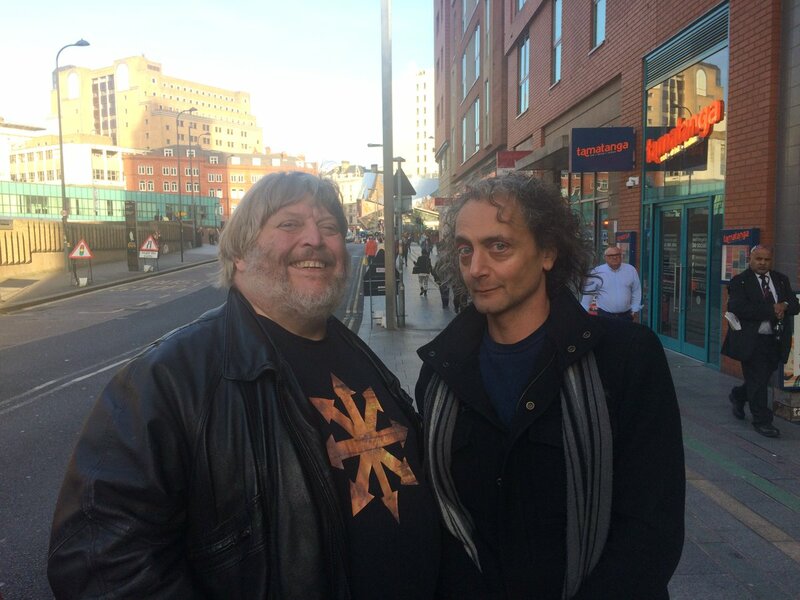 21 January 2019: Over at the FrightFest website, reviewer Chris Ward notes Arrow’s Forbidden Photos Blu-ray comes “with a heap of extra features, [..] most interestingly of all, a Q&A with Dagmar Lassender at the 2016 Festival of Fantastic Films, moderated by journalist and filmmaker Steve Green, where the actress discusses her extensive career, including her work with Lamberto Bava, Rino Di Silvestro and Lucio Fulci”. 15 January 2019: Frame Rated‘s review of The Forbidden Photos of a Lady Above Suspicion (released on Blu-ray yesterday) mentions our documentary extra The Forbidden Lady “will appeal to interested fans and there’s some entertaining behind the scenes anecdotes from [Dagmar Lassander’s] career. Worth a look, especially for those who enjoy conventions but missed that one.” Inside Pulse notes Dagmar “talks of her youth that featured her bouncing around several countries and what brought her to Italy to work in movies”. 14 January 2019: Have YOU subscribed to our YouTube channel yet? 11 January 2019: Casting continues on our new short film, A Deal with Death, which now has an IMDb page. Whilst we won’t be able to use certain actors this time around, we’ll definitely be keeping them in mind for other projects. 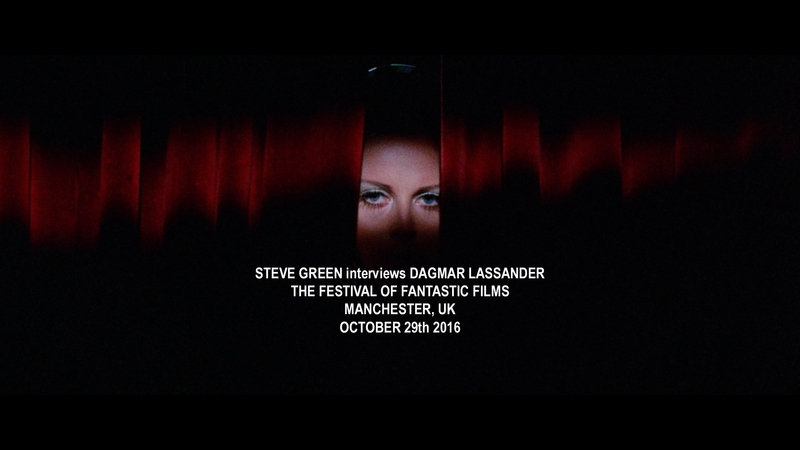 9 January 2019: Geek Chocolate‘s review of The Forbidden Photos of a Lady Above Suspicion mentions our documentary extra, The Forbidden Lady, in which “a relaxed and garrulous (Dagmar) Lassander is interviewed at length on her career”. 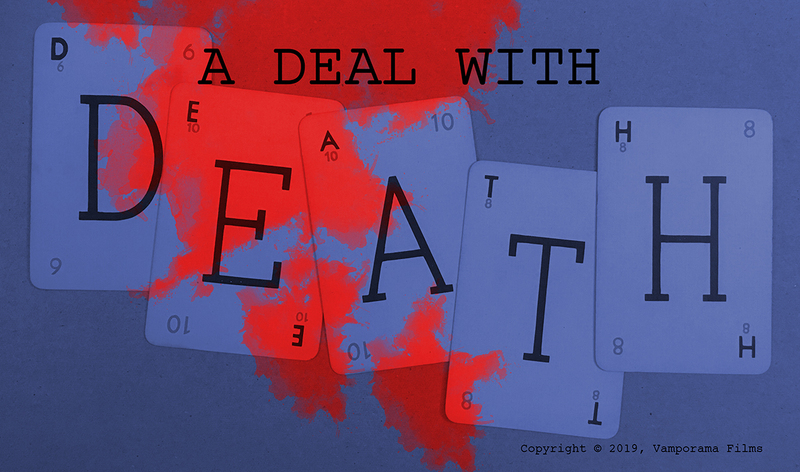 8 January 2019: Casting has begun for our next drama project, A Deal with Death. More details on our Mandy page. 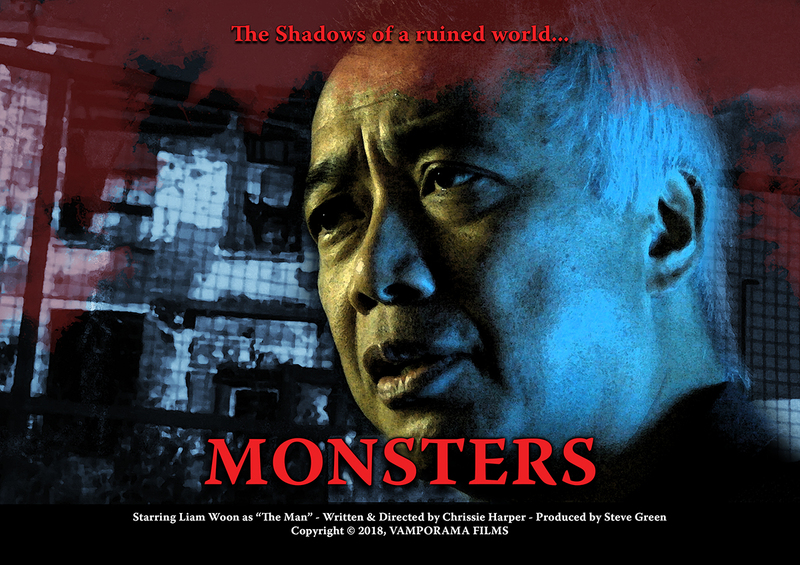 6 January 2019: More reviews for our latest short drama, Monsters. 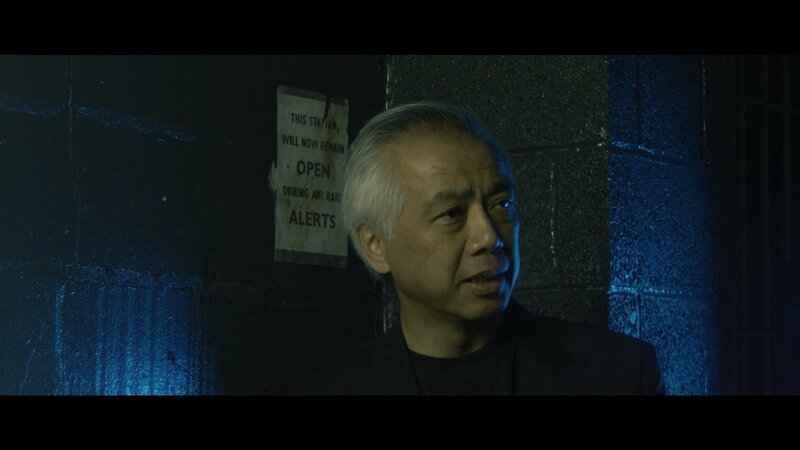 Guy Russell at Midlands Movies praised the “fantastic story idea”, said our writer-director Chrissie Harper and actor Liam Woon “create an overwhelming sense of dread” and warned “the last five seconds of Monsters will leave the viewer with a smile… or a shudder”. Meanwhile, House of Mortal Cinema‘s John L Probert described Monsters as “A slick evocation of an EC Comics-style tale”. 4 January 2019: You can now view a list of all our productions on IMDb. 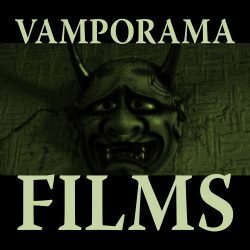 3 January 2019: Vamporama Films now has an Instagram account. 2 January 2019: We’ve already mentioned Grimwood, our proposed tv series, and A Deal with Death, our next film project. 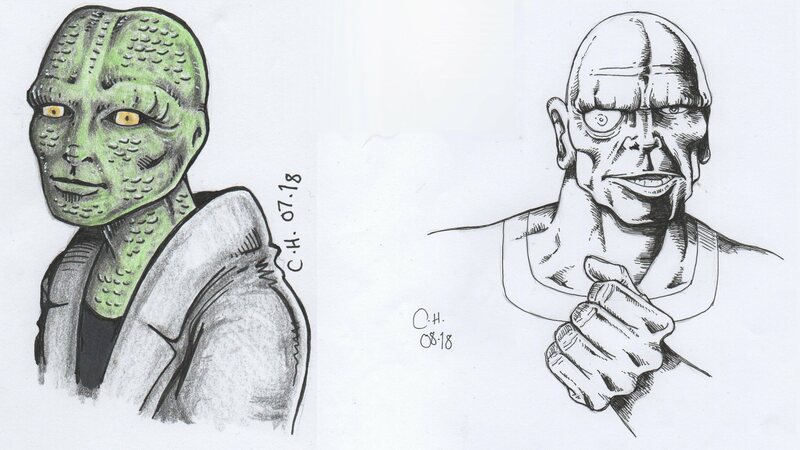 Well, here are sketches for the former’s title character and the mysterious elderly figure who features in the latter. As usual, artwork is by Chrissie. 1 January 2019: A new year, and we’re aiming to hit the ground running. Our documentary The Forbidden Lady hits the shelves in 13 days’ time, as part of Arrow Films’ Blu-ray release of The Forbidden Photos of a Lady Under Suspicion. Meanwhile, our short film Monsters has been submitted to a number of festivals on both sides of the Big Pond, and Chrissie is already working on a follow-up film under the working title A Deal with Death. 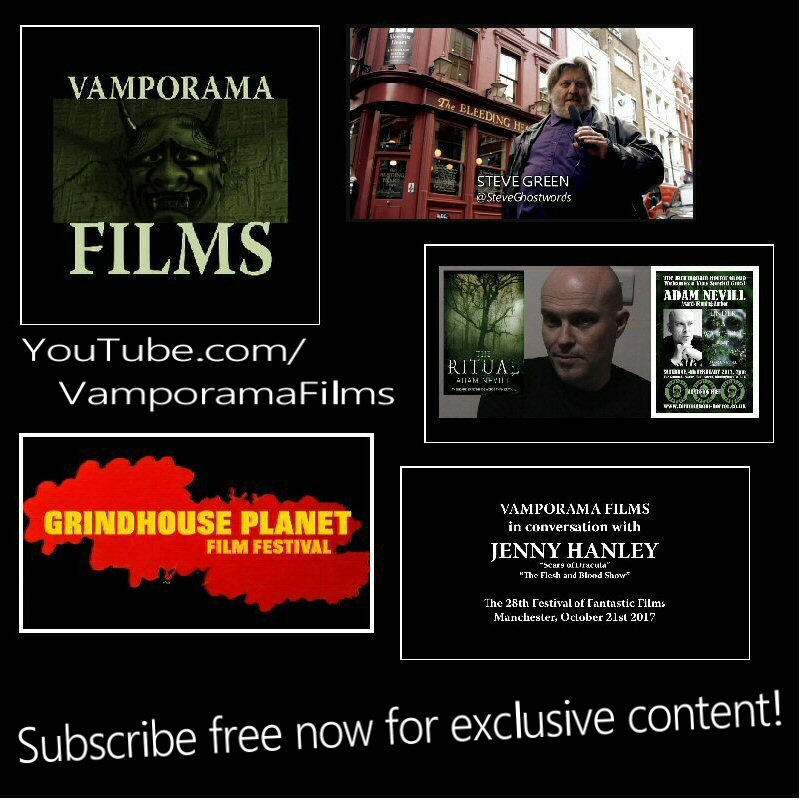 Best way to keep up to date with all these — and several online projects — is to subscribe to our YouTube channel (details above). EDIT: Project page now online here. 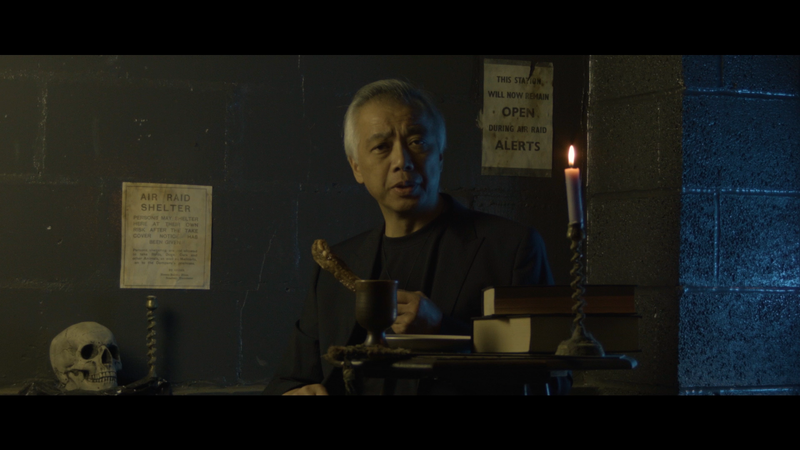 19 December 2018: Whilst Monsters is sent out to film festivals around the globe, its predcessor All Bad Things… is back in the editing booth as we consider releasing a revised version with new edits — in black & white. It’s a bit of an experiment, but here’s a taster of this work in progress. 17 December 2018: Only four weeks now until our documentary The Forbidden Lady hits retail shelves as part of Arrow Films’ Blu-ray release of The Forbidden Photos of a Lady Above Suspicion. 10 December 2018: Just five weeks left until the Blu-ray release of The Forbidden Photos of a Lady Above Suspicion, featuring our documentary The Forbidden Lady. 6 December 2018: There is now a page here for our various film services: script doctoring, storyboards, editing and trailers. 27 November 2018: Terror At Bell’s End is our tongue-in-cheek homage to Italian horror, especially the work of director Lucio Fulci. We still have a few scenes left to shoot for this faux trailer, but here’s a pastiche poster Chrissie designed to whet the imagination. 26 November 2018: Here’s the poster for our new film Monsters. We’d love to hear from any festival organisers interested in screening it. 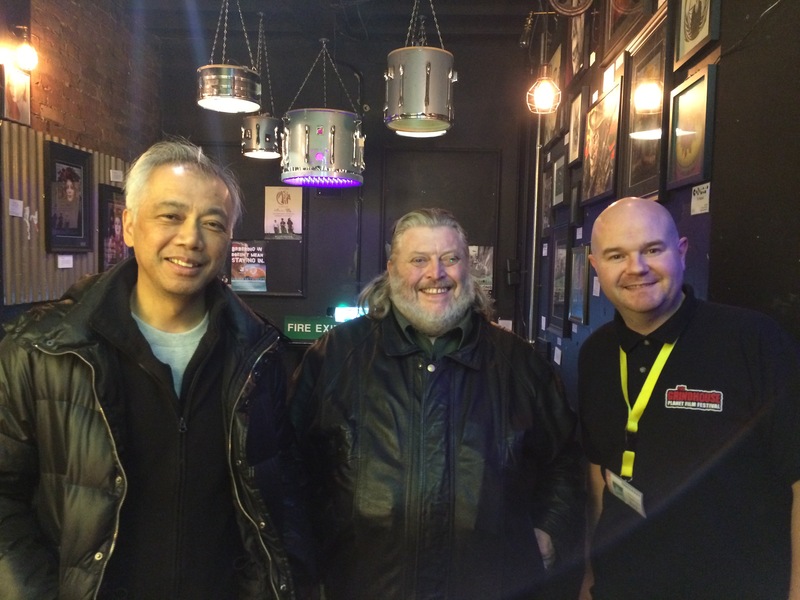 25 November 2018: After yesterday’s screening of Monsters at the Grindhouse Planet Film Festival in Leicester, Liam and Steve chatted with organiser Marc Hamill (who you may remember from this documentary we made). Photo by Chrissie. 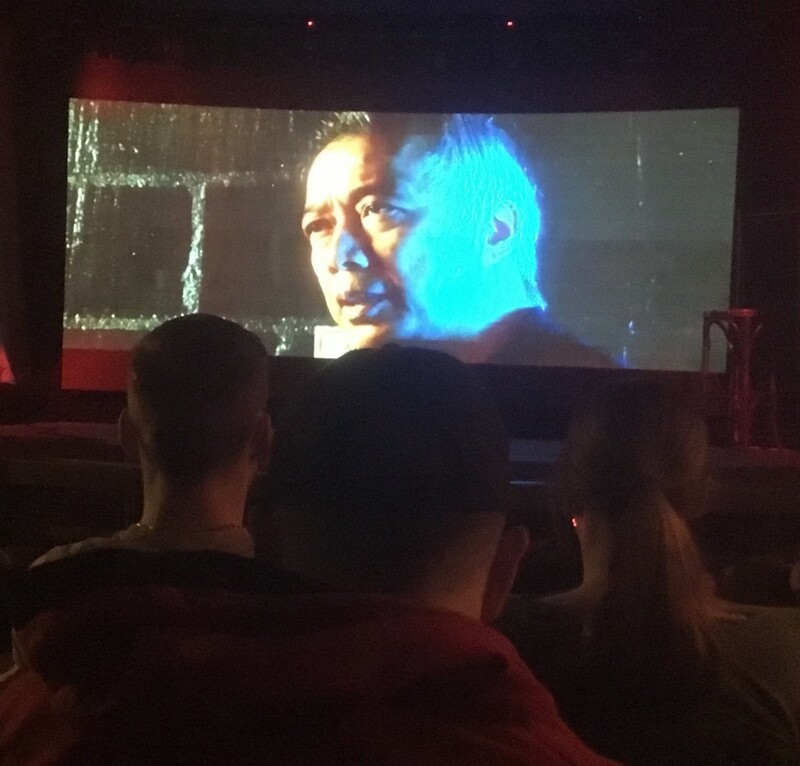 24 November 2018: Our new short film Monsters received its first public airing this afternoon, at Leicester’s third Grindhouse Planet Film Festival. More tomorrow, but here’s a shot of the screening room to be going on with. 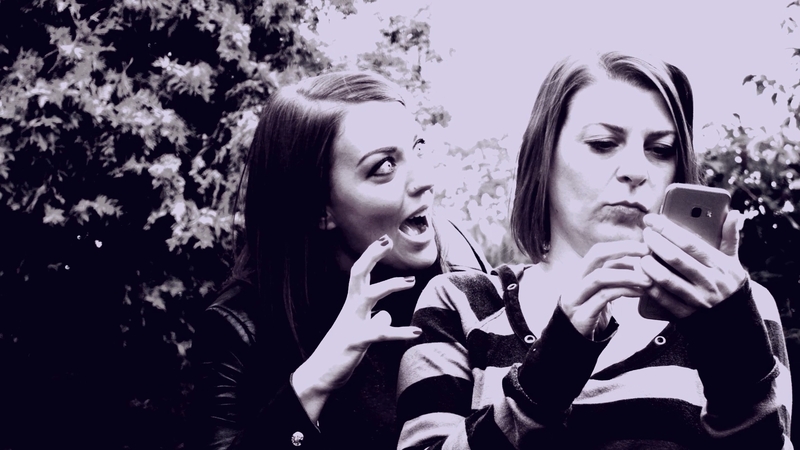 6 November 2018: Post-production continues on our new short film Monsters, but we’ve already lined up the premiere: 24 November, at Leicester’s third Grindhouse Planet Film Festival. More details soon. 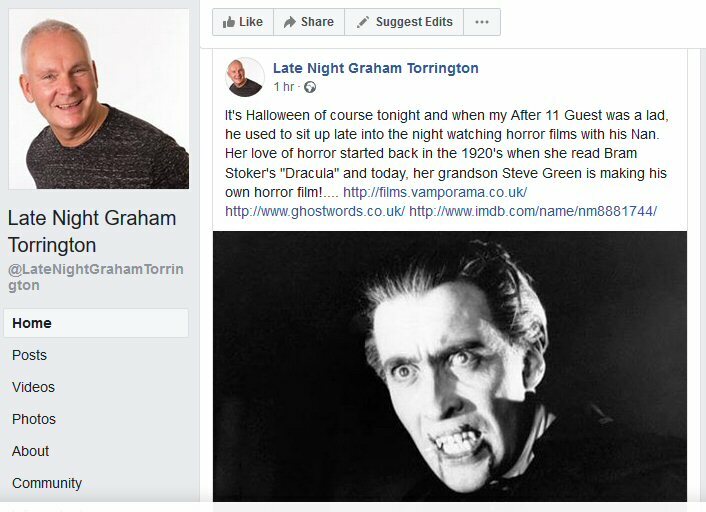 1 November 2018: Last night’s instalment of Late Night Graham Torrington (see below) is now available here via the BBC’s ‘Listen Again’ facility (Steve joins Graham just past the 01:26:30 mark). The show is broadcast to eight stations in the BBC’s ‘local radio’ network: WM (West Midlands), Stoke & Staffordshire, Leicester, Hereford & Worcester, Coventry & Warwickshire, Nottingham, Derby and Shropshire. 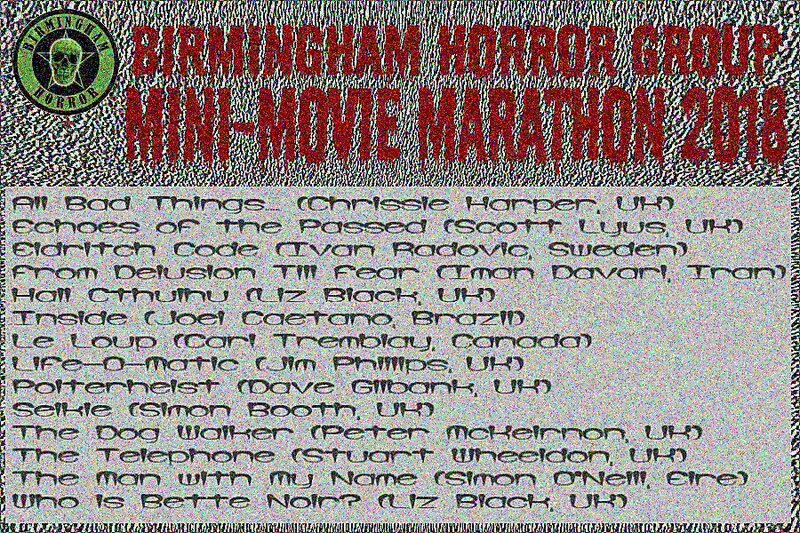 31 October 2018: Steve was on BBC Radio tonight to discuss horror and plug our film projects. Many thanks to host Graham Torrington and his producer Nicole Pullman for calling us and letting Steve ramble on about the genre we all love. 27 October 2018: We’ve just finished work on the first trailer for Monsters, starring Liam Woon, If you like it, please distribute the link. 26 October 2018: We are delighted to finally be able to let the black cat out of the bag and announce our film The Forbidden Lady is among the extras on Arrow Video’s forthcoming Blu-ray release of Forbidden Photos of a Lady Above Suspicion, starring Dagmar Lassander. 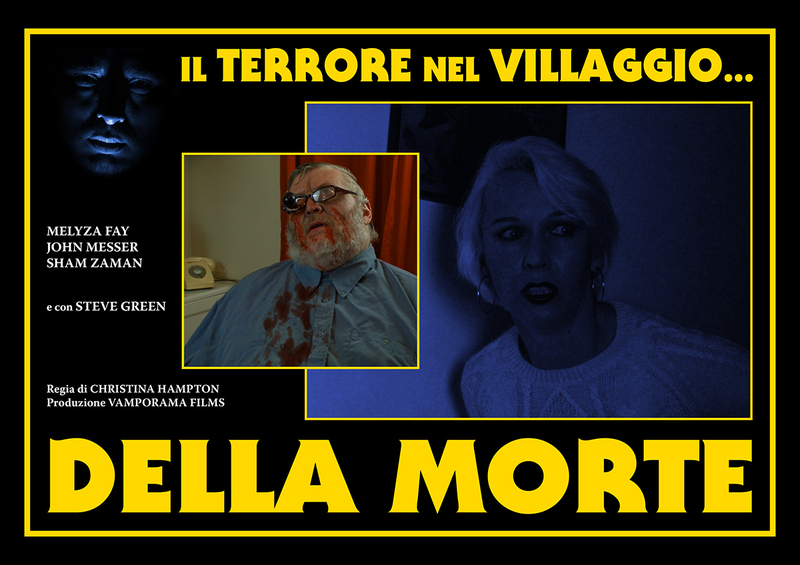 It features footage shot at the 2016 Festival of Fantastic Films in Manchester, with Ms Lassander discussing her appearances in such films as A Hatchet for the Honeymoon (directed by Mario Bava), The House by the Cemetery, The Black Cat (both directed by Lucio Fulci), The Frightened Lady and, of course, Forbidden Photos itself. Copies are due to hit the shelves on 14 January. 25 October 2018: Another grading test for Monsters, from a different angle. 22 October 2018: Post-production work has begun on our short film Monsters following yesterday’s lengthy shoot in Coventry. Here’s a preliminary grading test. 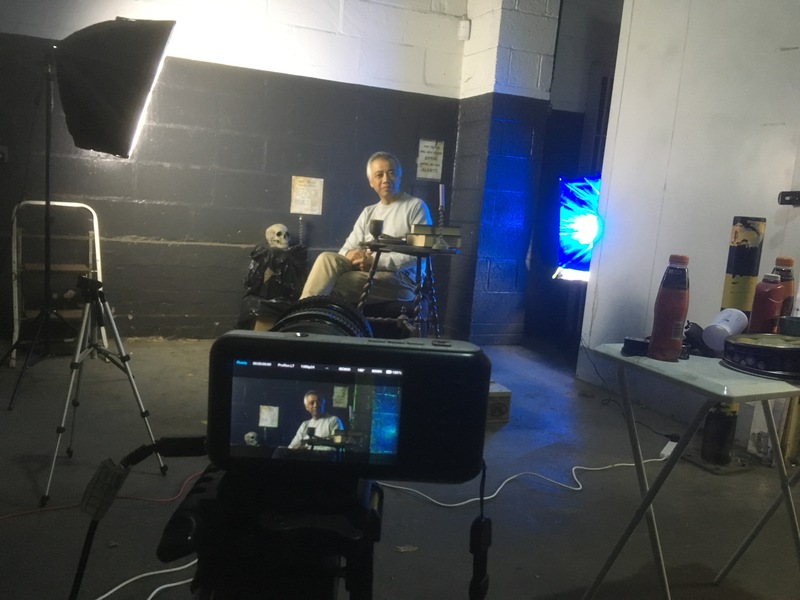 21 October 2018: Quite a lengthy shoot on our short film Monsters today at a rather chilly grocery warehouse in Coventry, but the results will hopefully more than justify the huge effort we’ve all put in. The photograph below shows our star, Liam Woon, running through his lines during the final rehearsal. 19 October 2018: Just two days away from shooting our new horror short, Monsters. It’s been a little while since we left the editing booth and got back behind the camera, so we’re really looking forward to this — as, he tells us, is our star, Liam Woon. 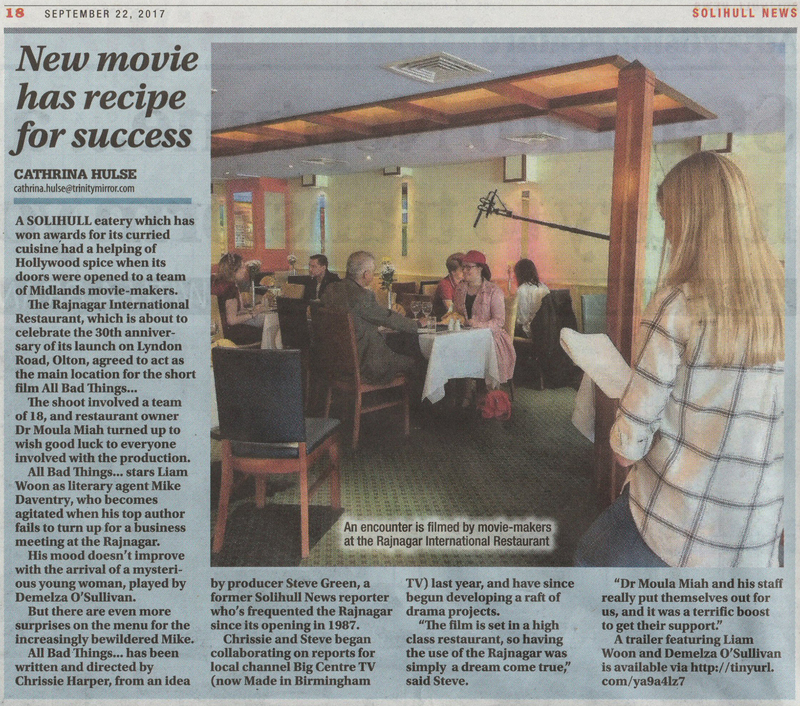 8 October 2018: Hard to believe it’s more than a year since we wrapped principal photography on our short film All Bad Things…, as reported in both local weekly papers (there’s a clipping from the Solihull News below). It’s since been screened at events in Birmingham, Leicester and Nottingham. 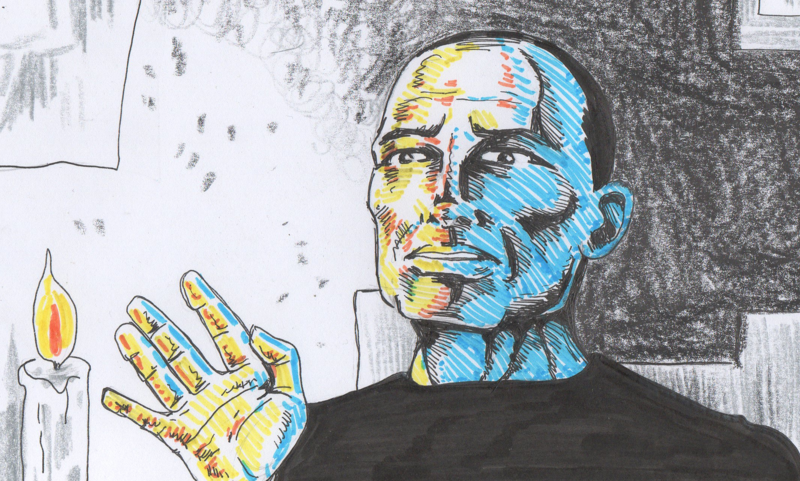 6 October 2018: Continuing on the topic of storyboards, here’s a detail from one of Chrissie’s preliminary designs for our current work-in-progress, Monsters, plus a screengrab from the rehearsal footage we shot of Liam Woon on Sunday. 3 October 2018: There is an amazing amount of talent in the West Midlands. Steve met up tonight with actor Kelley Costigan to discuss a role in one project currently in the planning stage. Good job it went well: Kelley’s car was full of swords and body armour! 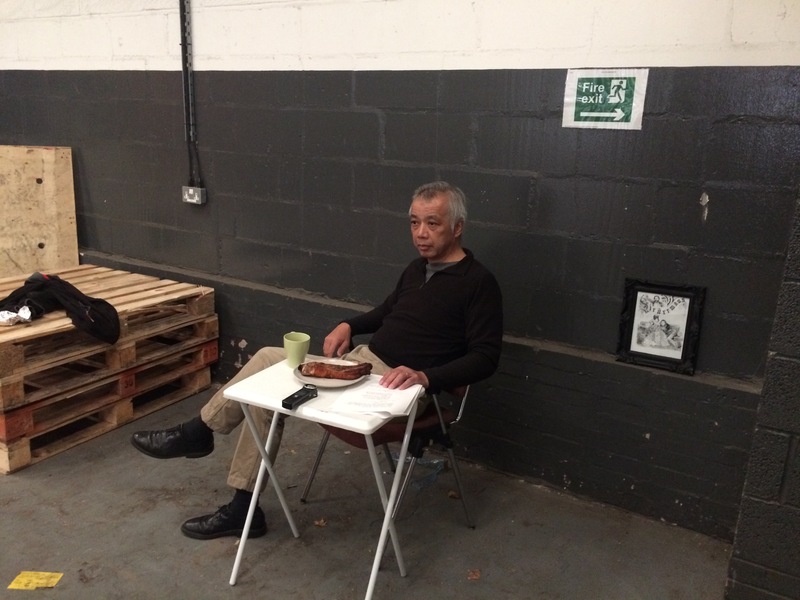 2 October 2018: Quite a few of the scenes in our films are storyboarded first, which can be extremely helpful when describing the set-up to cast and crew. 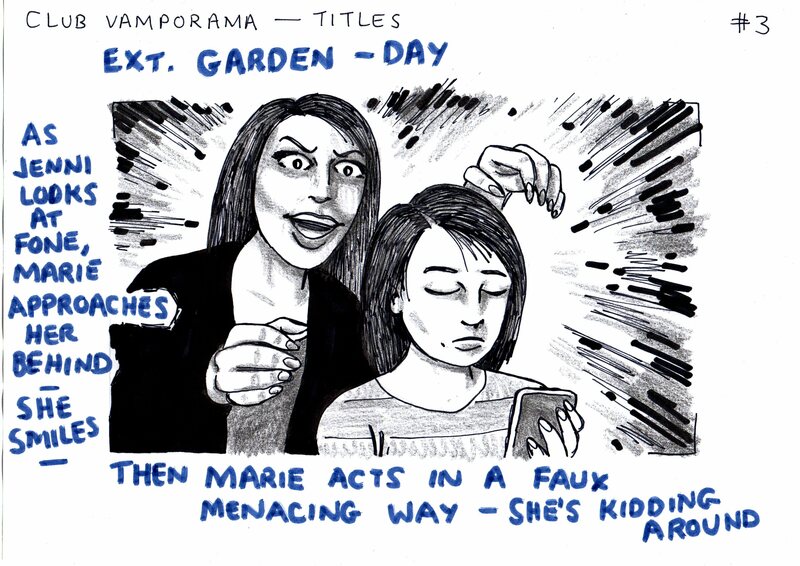 Here is Chrissie’s sketch for one shot we needed for the Club Vamporama title sequence, then the version we actually filmed on location with actors Elizabeth Hastings (Marie) and Dru Stephenson (Jenni). You can watch the finished titles here. 2 October 2018: As well as our own projects, such as Monsters and Club Vamporama, we certainly aren’t averse to pitching ideas at other production companies with a somewhat larger budget. 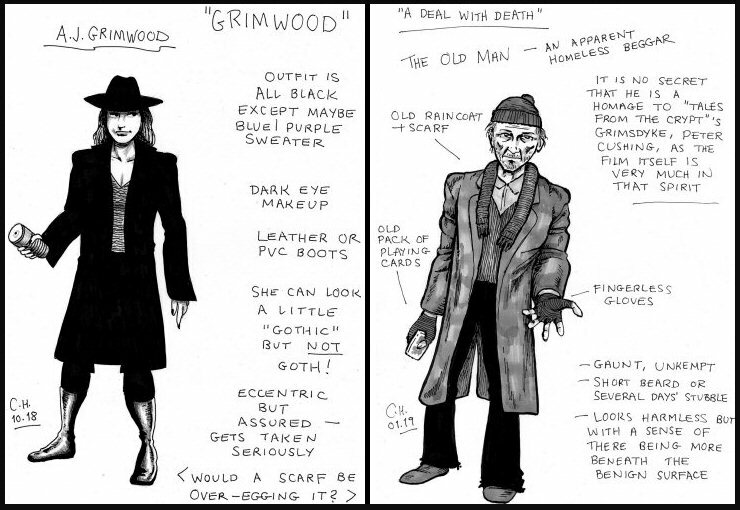 Here are a couple of concept sketches Chrissie’s come up with for one movie idea in its early stages. 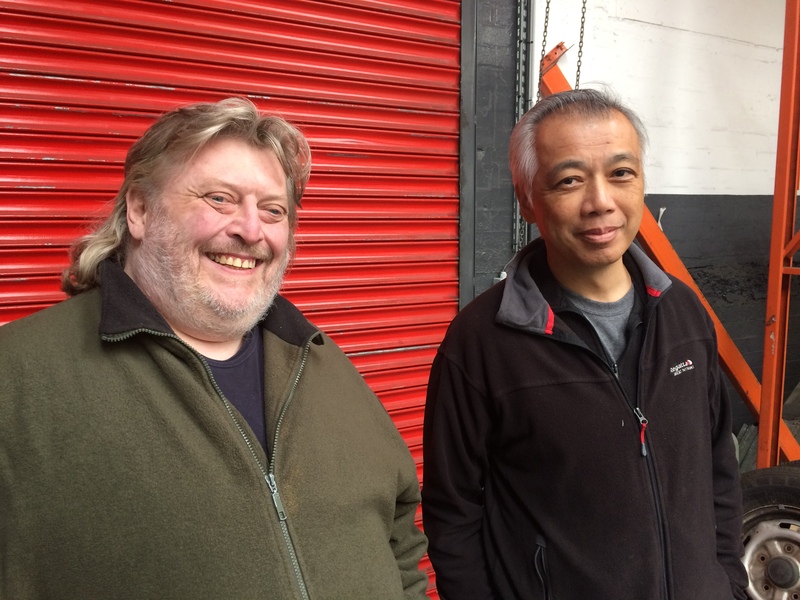 1 October 2018: Here we have producer Steve Green and Monsters star Liam Woon, relaxing after yesterday’s rehearsal session. You can get a taste of how it went in this video clip. 30 September 2018: Rehearsals began today on our short horror film Monsters, on location in Coventry. 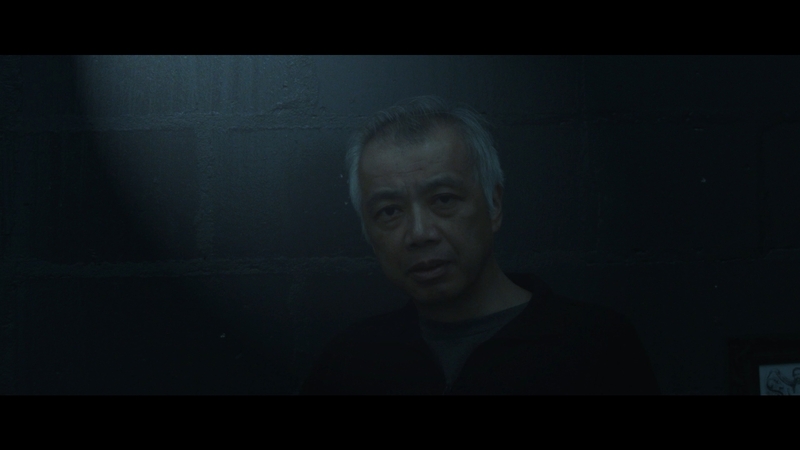 Liam Woon (All Bad Things…) will star as… well, we can’t tell you that right now, but he’ll be great. 28 September 2018: We had hoped to have been able to make a full announcement about our new documentary by now, but it appears secrecy will need to be maintained several weeks longer. Our work was handed in and signed off on well before deadline, but the UK distibutor which commissioned it has delayed the Blu-ray release. 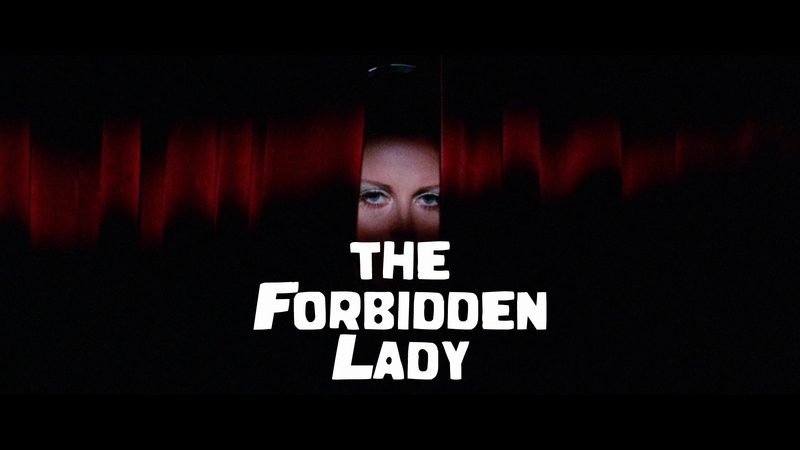 However, revealing the title of our contribution — The Forbidden Lady — shouldn’t breach any confidences. 30 July 2018: Back in May, we were contacted by a leading UK film distributor regarding interview footage we’d shot in 2016. Delighted to announce details have been agreed, so work has begun on our first documentary ‘extra’. That’s all we can say at the moment, but we should have more news in a month or two. 23 July 2018: One of the packages we produced last year for the local television channel Made in Birmingham TV focused upon local historian and author John Ullah (you can view part one here and part two here). We’re currently in discussions with John regarding collaborating on a documentary about a historic Birmingham pub with a link to the glory days of music hall. 09 April 2018: The full, 30-minute pilot episode of Club Vamporama is currently in pre-production. 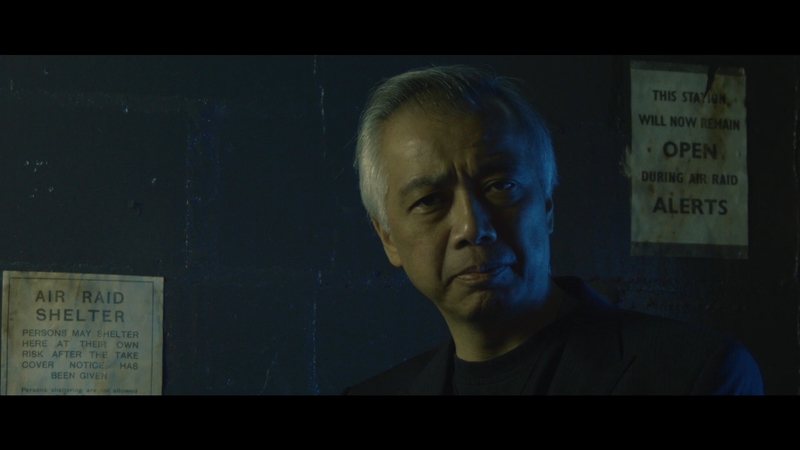 Stay tuned for a major casting announcement and the launch of a Kickstarter campaign in the very near future. 09 April 2018: All three of our short films are now listed on IMDb: All Bad Things…, Club Vamporama: Who is Bette Noir? and Club Vamporama: Hail Cthulhu! 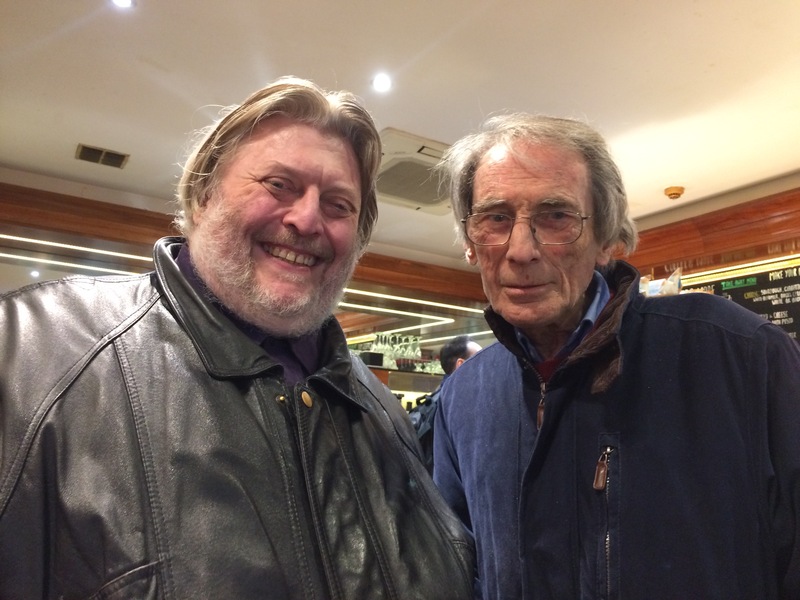 25 March 2018: The Birmingham Horror Group hosted its second film festival tonight, at the city’s historic Victoria pub. The international line-up (see below) included three of our productions: All Bad Things plus the Club Vamporama teasers Who is Bette Noir? and Hail Cthulhu!. Proceeds from the event went to the medical charity Diabetes UK. 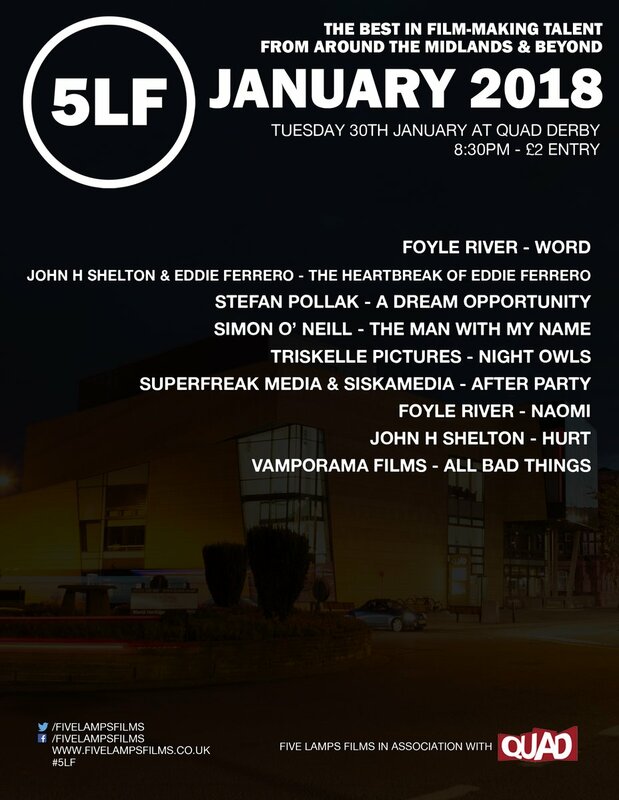 30 January 2018: Five Lamps Films held its first event of the new year at Derby’s QUAD arts centre tonight, and we were delighted they selected our short All Bad Things for screening (see poster below). 10 December 2017: The third instalment of our new online series In Conversation With features author and actor Jonathan Rigby, who discusses his role in the new supernatural drama Borley Rectory, portraying radio comedy legend Kenneth Horne on stage and his own work charting the history of horror cinema in such books as English Gothic and Studies in Terror. Filmed at Manchester’s Festival of Fantastic Films, you can see the interview here. 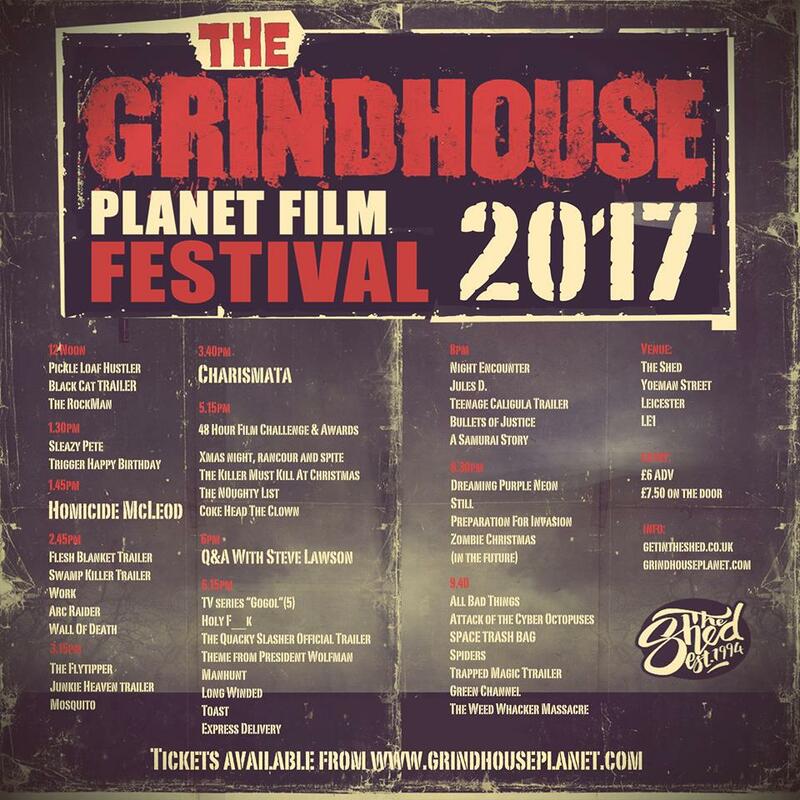 27 November 2017: The first public screening of All Bad Things took place last night at the Grindhouse Planet Film Festival. See below for a photo and the official poster — and here, here and here for reports on the event. 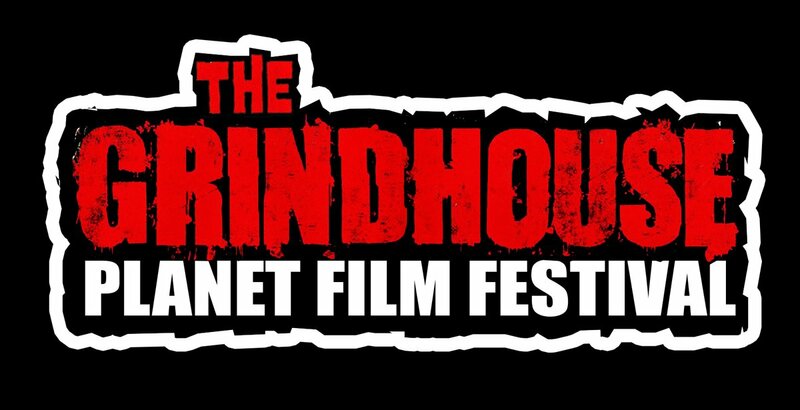 11 November 2017: We’re delighted to announce that our short film All Bad Things… will receive its public premiere at the second Grindhouse Planet Film Festival, which will be held in Leicester on 26 November. You can see our report on last year’s inaugural event here. 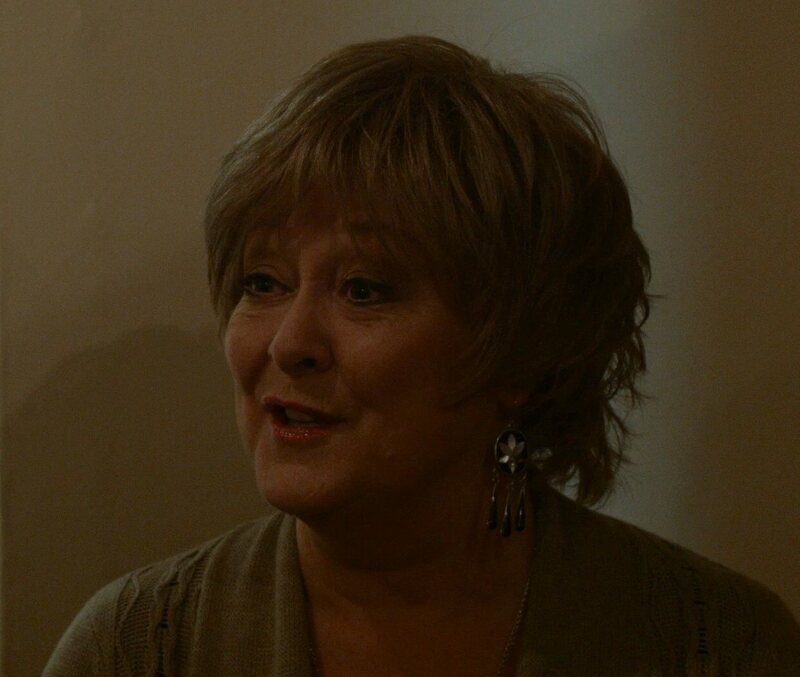 7 November 2017: British actor Jenny Hanley (pictured below) features in the second instalment of our new online series In Conversation With, available here. Interviewed at Manchester’s Festival of Fantastic Films, Jenny discusses working with Christopher Lee on Scars of Dracula, switching from Hammer’s gothic horror style to the sleazier extremes of Peter Walker’s The Flesh and Blood Show, returning to the stage in a revival of Agatha Christie’s The Hollow and her forthcoming poetry collection. 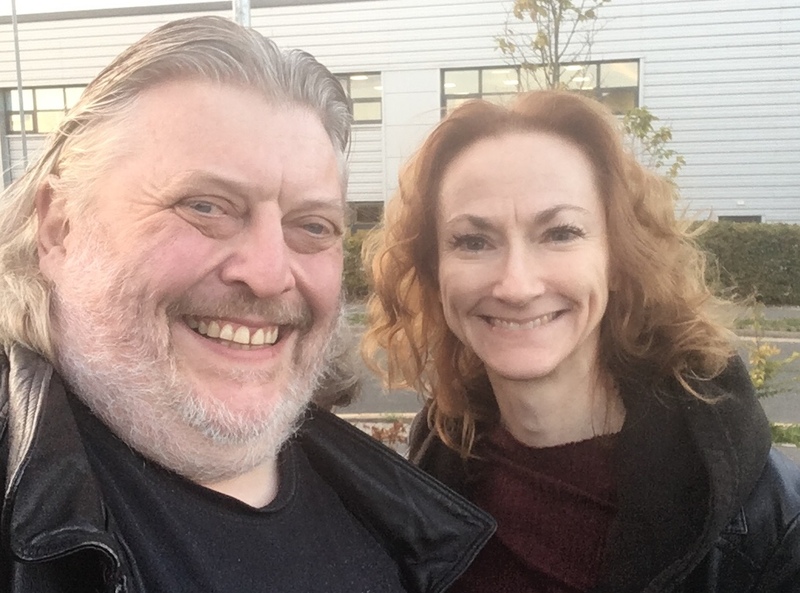 The previous episode, featuring Demelza O’Sullivan (All Bad Things…) can be viewed here. 29 October 2017: Cast and crew members attended a special screening of All Bad Things… and two Club Vamporama films, Who is Bette Noir? and Hail Cthulhu!, held at the Victoria theatre pub in Birmingham. Our compère for the evening was horror author Jasper Bark, who introduced a rousing rendition of Edgar Allan Poe’s ‘The Tell-Tale Heart’ by local actor William Hayes, interviewed principal cast and closed the event with an hilarious performance of his own short story ‘Taking the Piss’. Top row (L-R): William Hayes gets to the heart of a Poe classic; Jasper Bark talks to Melyza Fay about appearing in Who is Bette Noir? and her subsequent appearance in Terror At Bell’s End. 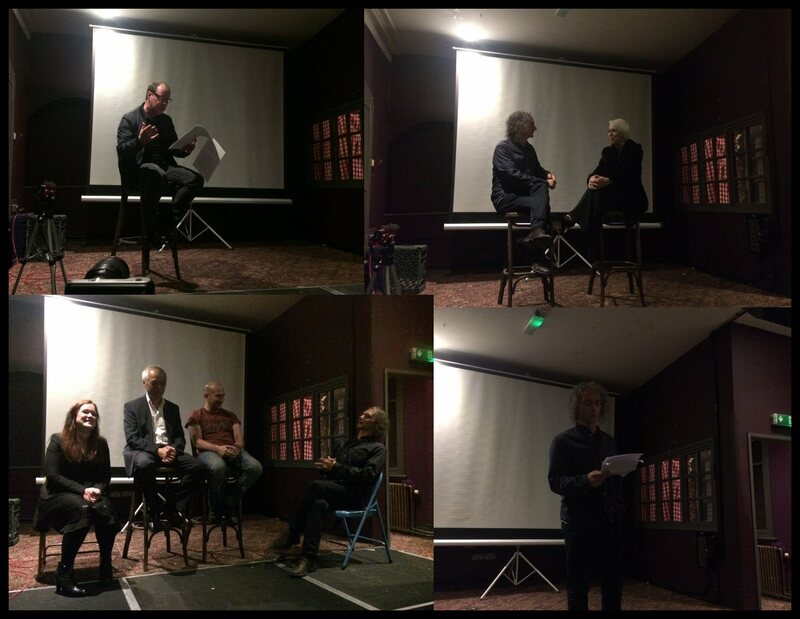 Bottom row: Demelza O’Sullivan, Liam Woon and Sham Zaman discuss All Bad Things…; Jasper ends the night with a little dark toilet humour.